What do we want? HOVERBOARDS! When do we want them? TOMORROW! Tomorrow is Oct. 21, 2015 — the precise date on which Marty McFly and Doc traveled to in the iconic film Back to the Future, Part II. This also means that those lazy scientists have just one day remaining to finally deliver upon the prophecy of the movie and give us some goddamn hoverboards. And don't tell me that this thing is a hoverboard, because that thing has wheels. And don't try to sell me this thing, because it's loud as hell. 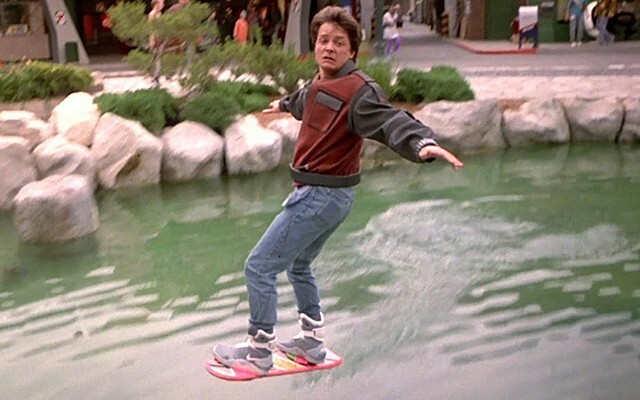 I'm talking real, live, Mattel-brand, don't-work-on-water hoverboards. Again, scientists...you have less than one day. But to celebrate our arrival in the future/air our grievances with the lack of scientific ingenuity over the past 26 years, we at the Inlander are showing Back to the Future Part II at the Bing Crosby Theater as part of our Suds and Cinema series. The chosen beer is the future-minded brew of No-Li Brewhouse. Tickets are $4 and beers are $4, too. There's a costume contest, a real frickin' DeLorean, ice cream, uh, beer, and plenty of other fun. Beer flows at 6 pm, the movie starts at 7:30 pm. Here's the Facebook info, because it's the future and that's how we do things.